The bed is often considered the most important furniture in a home. And this idea is not without merit. If you don’t have a comfortable place to sleep on, you will quickly lose quite a bit of quality of life. We all know how wiped-out we feel after a bad, sleepless night – imagine being equally for days, weeks, even months on end, and you will very quickly come to that the bed, indeed, is one of the most important parts of any house. Having said that, we also know that quite a few living-spaces do not allow for a luxurious bed, let alone have the room for an elaborate bedroom. But that doesn’t mean you can’t find rest and relaxation. It just means you’ll have to get creative! We have collected the best, space-saving alternatives to the “classic” bed for you below, so that you can stay happy, relaxed and well-rested, even in the smallest of spaces! The loft bed is probably hands down the best way of saving space without having to pass up on having a “real” bed. Studio apartments, bachelor pads, or dorm rooms would not be the same without those elevated beds. A loft bed, basically, is every type of bed that is elevated from the ground and thereby allow for usable space beneath them. 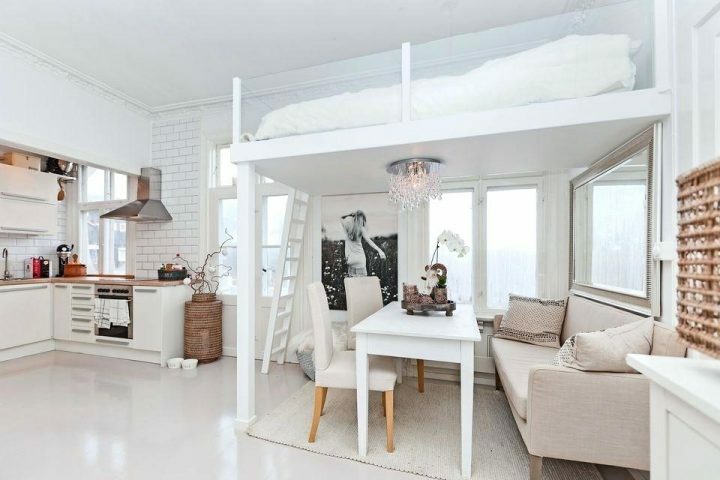 There are a multitude of different types of loft beds (from the basic bed on “stilts”, to partial subceilings or inserted ceilings that create an additional sleeping space in high rooms), and they do come in all possible sizes from classic single to king-size. We absolutely adore the idea and practicability of loft beds, but we want to urge you to go for a variety with steps leading up instead of a ladder – nobody wants to crawl up rickety ladders at the crack of dawn after a long night out, or want to shimmy down them bleary-eyed and half-awake before that first, life-saving cup of coffee in the morning! The hanging bed is basically the same as the loft bed above, but suspended from the ceiling instead of mounted on stilts. The absolute advantage of this kind of bed is that there are no poles or walls to navigate around, so you can use the space beneath to its fullest. On the downside, however, you’ll need a flat or house that allows for adding the weight of the bed construction to the ceiling. A hanging bed is definitely the most space-saving bed alternative, but it might be a hassle to install. A trundle bed, that is a bed that has a second bed “hidden” in a drawer beneath the mattress, may not be actually a space-saving alternative to a bed since it definitely does come in full (usually) single-bed size. 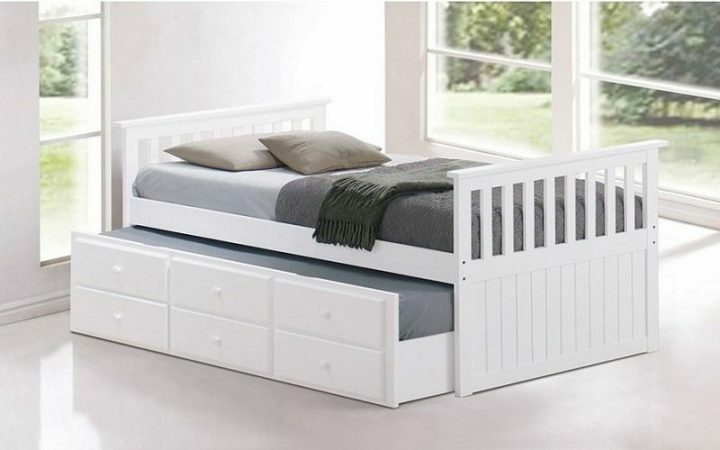 However, the trundle bed is a great space-saver when you need to sleep, for example, two kids in one room and don’t want to use up too much of the space for beds. Additionally, it is also a great way to sleep two people in your spare room if you like to use the space as an office or hobby room when you don’t have people over. A single bed, obviously, does take up less space than a double, and you can always use the “upper” bed as a day-bed or sofa-alternative when it’s not in use. The Murphy bed is the quintessential idea of space-saving sleeping. Basically, the Murphy bed is nothing more than a full-sized bed that can be folded up against the wall and looks just like a cupboard or even part of the wall itself when not in use. Murphy beds used to be associated with dingy bachelor pads, or elderly people’s single-room apartments, but these days they are really good looking and stylish bed alternatives. And on top of that – if you’re somewhat talented in the DIY department, you can quite easily build one of those for yourself for little money. The rollaway bed is the other classic example of a bed used when you’re short on space we all have encountered at one point in our lives. We’re guessing, chances are high that you -just like us- have had the dubious pleasure of sleeping on one of those in a hotel room when you were a kid. The good news? If you settle for purchasing one of those for your own home, chances are, that you will end up with a variety that is a bit less rickety and a lot more comfortable (you can easily fit yours with a high(er)-quality mattress!) than the one you slept on during that holiday. The bad news? No matter if you go for a really good memory-foam mattress or not, we would not suggest using a rollaway bed for long-time use. They just are not great enough to want to lie on them night after night for years. 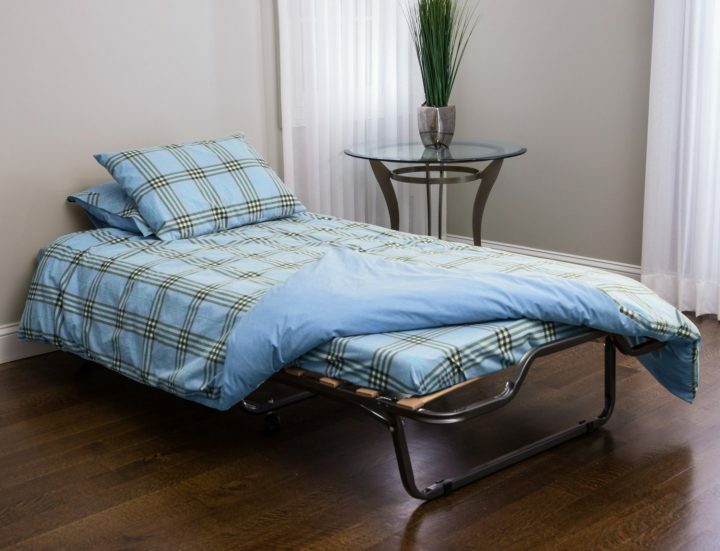 If you don’t have the space for a spare-bedroom to house temporary guests, however, we definitely recommend a classic folding bed. It’s perfectly fine to sleep on for a couple of nights, even some weeks with the right mattress, and can be comfortably folded up and stored away whenever its not in use. A hammock might not be the first thing that comes to mind when you’re looking for a bed alternative, but, actually, lying in a hammock is a lovely, comfortable way to sleep. 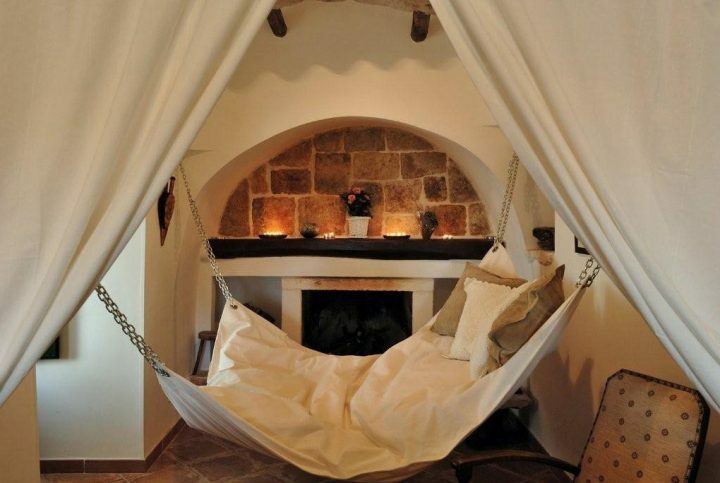 Obviously, hammocks are also a great way to save space, since it won’t take up any floor-space at all. You do, however, need either sturdy enough walls or ceilings to hang it up, or you will need to make the space to set up a frame to hang the hammock from. 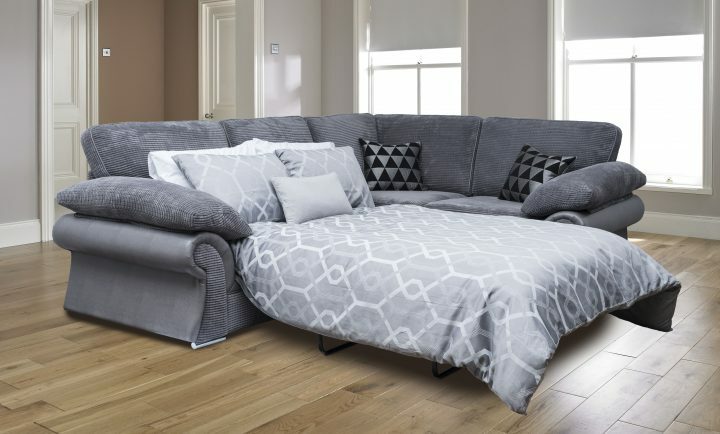 Particularly well-suited for studio-apartments or for using your living-room as guest bedroom when needed, the sofa bed is a great way of combining a comfortable lounging area for the day with a cozy place to sleep at night. Sofa beds come in a wealth of different types and shapes, and you can very probably find your favoured sofa-type in a sleeping configuration. 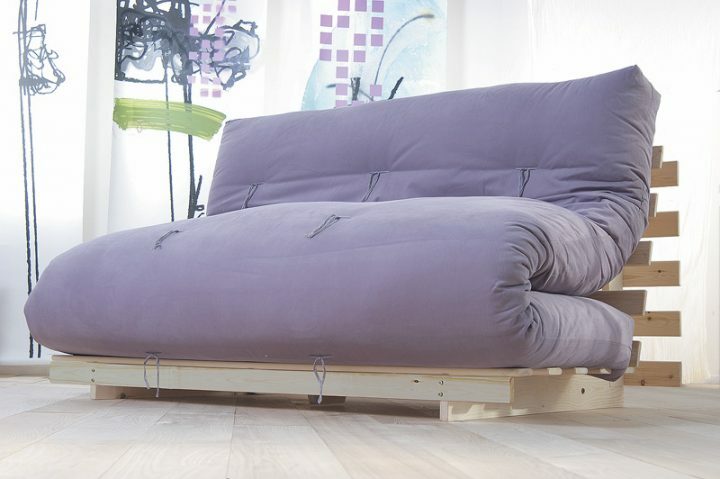 Basically a different version of the sofa bed, the futon comes with the same benefits as the latter. The only real difference? 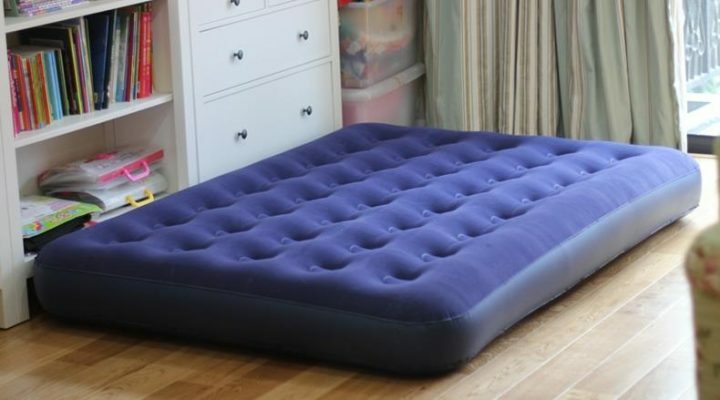 With the futon you don’t have a mattress stored under the original sofa that can be pulled or folded out, with the futon you actually use the folded up mattress as your sofa’s seat and create the bed by flipping down the back-rest and straightening the mattress out. 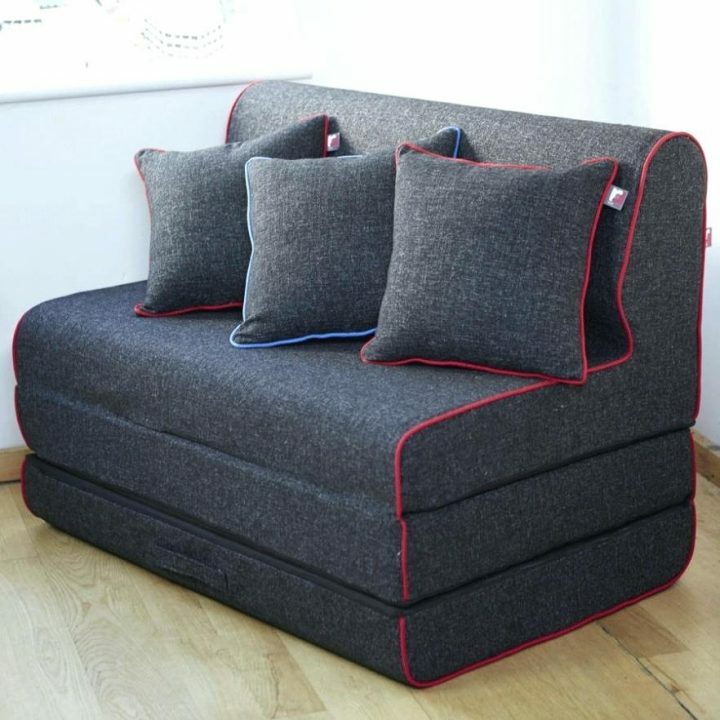 As yet another way of combining a place for lounging around during the day and getting a good sleep at night, the day bed comes with basically the same advantages as the sofa bed and the futon bed. 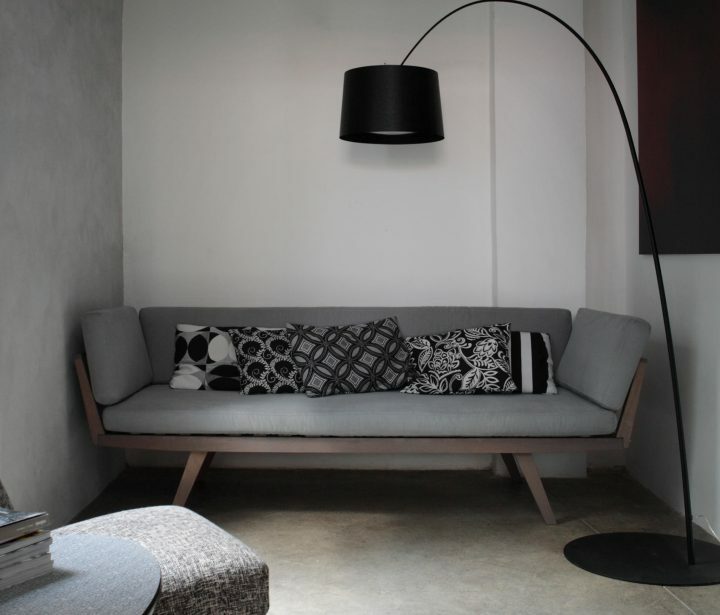 The biggest plus for a day bed when compared to a pull out sofa is the space factor. Particularly if you want to use it in a smaller (maybe guest) room, fitting a full-sized sofa might be problematic or plain unnecessary. A day bed, typically, takes up less space than a sofa and usually is designed to be tucked alongside a wall. Some types of day bed additionally come with storage solutions beneath the mattress, making them an even better pick for spare rooms. 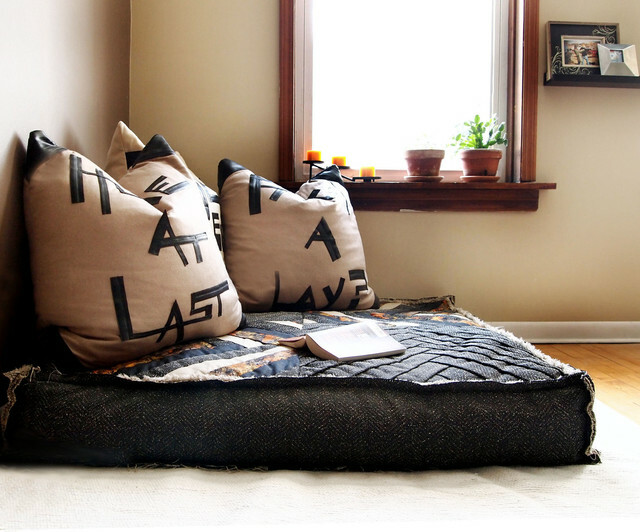 Bring a bit of the living traditions of the East into your home by using floor cushions as your mattress! These cushions are perfect for lounging around comfortably during the day, and are lovely to sleep on if you don’t mind not having a “real” mattress beneath you. Another Eastern sleeping tradition, this time directly coming to you from Japan! The tatami mat is basically a thin mat spread out on the floor, which then is covered traditionally by the futon, another thin mattress that is as soft and pliable as the tatami, which allows for both of them to easily be rolled up and stashed away for the day. For us Westeners, it might sound strange, even uncomfortable or unhealthy, to sleep directly on the floor, but the tatami/futon combination is actually an unbelievably comfy and healthy way to sleep. A folding mattress is exactly what its name suggests – a type of mattress that can be easily folded up in (usually three) parts, in order to make storage easier. Typically you would use this kind of mattress as an emergency measure to create a sleeping space on short notice or while on vacation, and not as a long-term sleeping arrangement. However, these days, folding mattresses have undergone a re-design and some of them are not only built for regular use, but are also designed in a way that makes them perfect to use as a comfortable seat during the day. Also typically encountered on vacation (and in particular camping trips), the air mattress is also a great way to temporarily provide sleeping space for friends or guests, since they take up next to no space at all when stored away. We would suggest investing in an electric air pump to inflate the mattress, particularly if you find yourself having friends or family wanting to crash for the night on a semi-regular basis. The bed roll basically is another type of thin, flexible mattress that can be rolled up in order to be comfortably stored away. Again, we would not suggest using a bed roll, particularly a cheap one, in stead of a bed over prolonged periods of time, but it is a good and relatively cheap (bed rolls can be bought at 30$ upwards) way of sleeping friends or family, or to bridge the time until you have found a more permanent sleeping solution.